the bad graphics do not spoil the game at all. However, the hitboxes of the spades could be better done because they are of capital importance. After a lot of work, i decided to get the hangover project bigger and i can't have a working build for friday. So i decided to stop the work on the game jam. Now i work with a writer to make a bigger game. 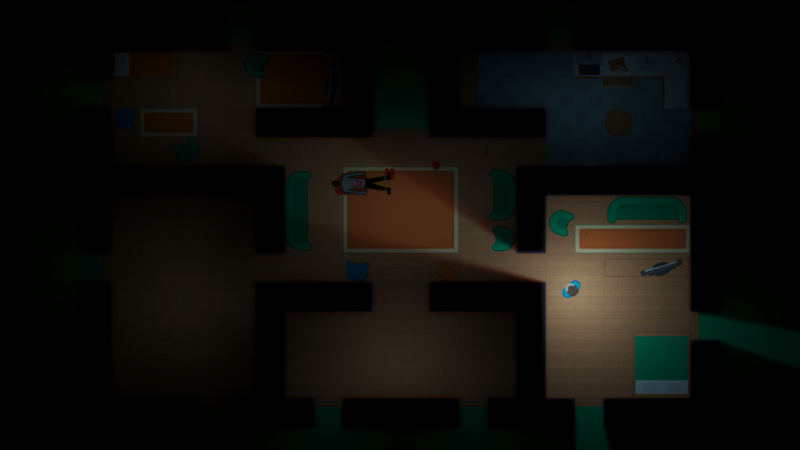 Here is the devlog of the hangover game started for a game jam. I will try to produce a game but it will be hard. Welcome back to my devlog ! Today I worked very very hard on a light system like the monaco game. I was inspired by some external scripts to raycast the light rays. Next, I worked on a shader that creates a yellow halo around object and created some interactions with specific items. Thats all but that was very intersting and a hard work for the lights. I never participate to a game jam but i have the experiance and i wanted to see if i can do it ! I realy love the managment games but i like to do any types of games ! I want to make a real game that I can show to my friends, my familly. I always stopped my projects because it's always too big. I'm 18 and I'm a french dev student and i waned to do my first game jam here (sorry for the spelling errors) . I saw the theme and i wanted to respect it. So I started to work on a game on unity in 2D (top down). You will discover the story when you will play it. Now, i wanted to make a devlog but i will post only when i want to say something about my game advencement, so let's go ! After that, I worked on a movement system with standard keys (very easy to do) but the hardest was to set the player rotation in function of the mouse position (the player is always looking at the camera). 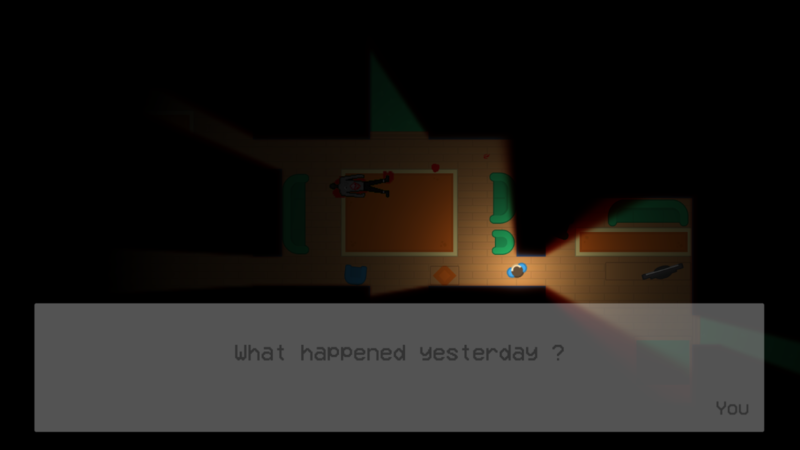 Next i wrote a script that create textboxes with triggers, the player can now speak !